Elegant and rich in history and facing the Straits of Bonifacio, Santa Teresa Gallura is the most northern resort in Sardinia. Unique nature and picturesque landscapes, dream beaches and a good dose of social life are the perfect mix for holidays with all the family and friends. Founded in 1808 by King Vittorio Emanuele I and named after his wife Maria Teresa of Austria, Santa Teresa is one of the most famous seaside resorts in Northern Sardinia. 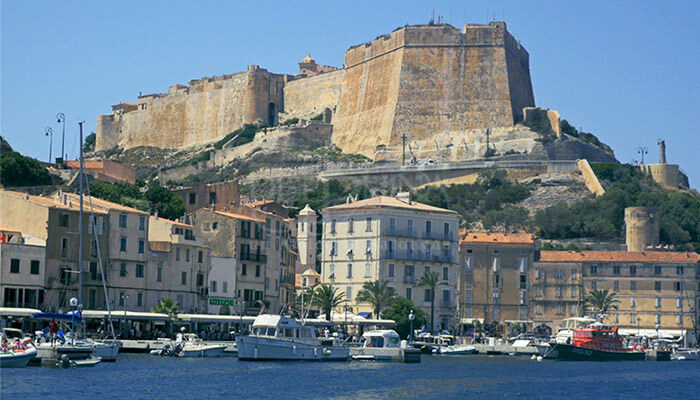 The town’s tourist port is one of the most important in Gallura and connects the island with nearby Corsica thanks to the Santa Teresa – Bonifacio ferry routes. Elegant buildings in pastel shades line the main streets that lead to the church of San Vittorio and the central square which is the hub of city life. Small boutiques, nightclubs, cafes and welcoming shops are all found in the historic old centre which in summer is even more lively thanks to displays, events and shows. 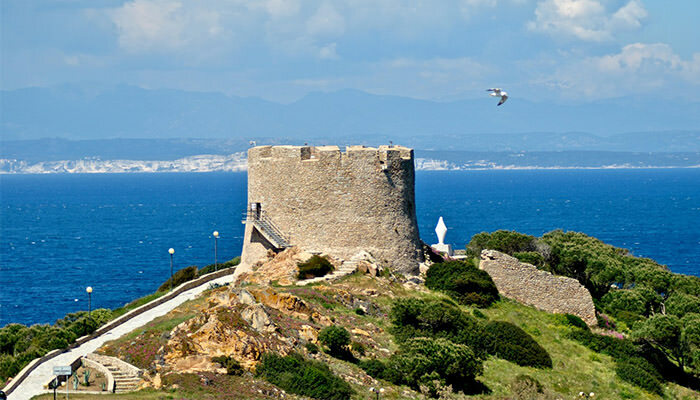 Heading towards the sea you get to the Longosardo tower which dates back to the sixteenth century. The largest tower built by the Spaniards in Sardinia, it dominates the panorama looking out over Corsica and the La Maddalena Archipelago. This is a symbolic site in St. Teresa where taking a holiday picture with fellow travellers is a must! Santa Teresa and the surrounding area boast some of the island’s most beautiful beaches, several of which have frequently been awarded the prestigious Bandiere Blu or Blue Flag. A regular award-winner is the Rena Bianca beach, a little strip of fine white sand right in the heart of the town with a shallow bottom and transparent water and sheltered by the Municca peninsular and the little island of Munichedda to the West and the promontory with the Longosardo tower to the East. The fascinating peninsula of Capo Testa is home to two other jewels of sand and sea that feature in the FEE ranking. To the left of the isthmus is Rena di Ponente and to the right Zia Culumba- Rena di Levante, ideal for swimming whatever the wind direction. Other Capo Testa beaches such as Cala Spinosa, Cala Francese and Cala Grande in the Valle della Luna are equally surrounded by unspoiled nature and perfect for enjoying sunny days in total privacy. Another marvel to see during a tour of the beaches of Northern Sardinia is the bay of Santa Reparata, named after the little country church of the same name just a few steps from the sea and an oasis for those who love snorkelling and diving. Continuing towards Palau, the coast offers a number of beaches of rare beauty, starting from the nearby beach of La Marmorata and going as far as La Licciola, one of the beaches in front of the Resort Valle dell’Erica Thalasso & SPA. Little bays and small coves follow each other, all facing the La Maddalena Archipelago up to the beach at Conca Verde. If instead we go from S. Teresa towards Costa Paradiso, it is impossible not to mention the beautiful beaches of Rena Majore, Lu Litarroni and Vignola’s long coastline. 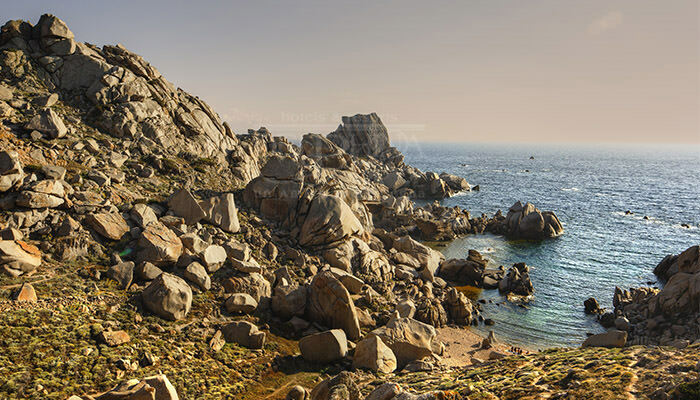 The granite rocks sculpted over millennia, the extraordinary natural architecture and the remains of ancient civilizations offer the visitor a wide range of places of interest and things to see in and around Santa Teresa Gallura. One of the most spectacular destinations in Santa Teresa Gallura is the Capo Testa lighthouse. The place exerts a magnetic attraction thanks to its breathtaking sunsets and in the evening you get an idea of the spirit of past times looking out at the cliffs of Corsica on the horizon. By taking a pleasant footpath between helichrysum and heather you reach the famous Valle della Luna (Valley of the Moon), so called for the unique landscape produced by its great white granite boulders. The rocks surround the valley that gently stretches down to the sea where it is still possible to meet members of the hippie community, bewitched by the primordial character of the site. Trekking enthusiasts can follow the Punta Cuntessa nature trail and immerse themselves in the scents of the island’s plants and the Mediterranean macchia or scrub. A path between land and sea leads to the old military batteries camouflaged among the granite rocks. The entire S. Teresa summer season is enlivened with events, music and food and wine festivals but the most anticipated event is Musica sulle Bocche, the international jazz festival that combines music and breathtaking landscapes. Every August the most beautiful scenery in the North of Sardinia becomes the backdrop and stage for talented artists who delight from dawn to dusk and provide an unforgettable range of emotions in unique places. 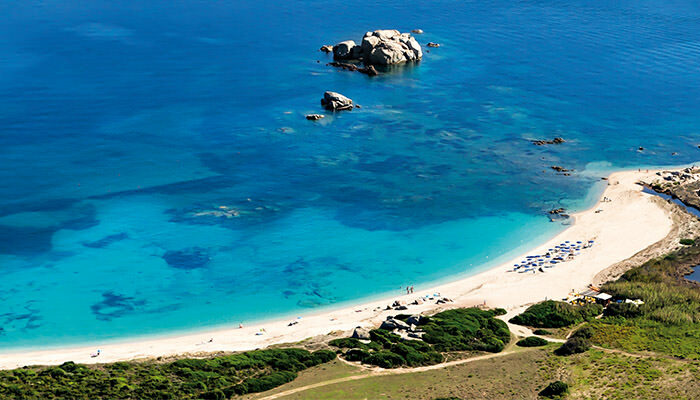 The charm of Northern Sardinia is undoubtedly the result of the beauty of the sea and the transparency of its waters. 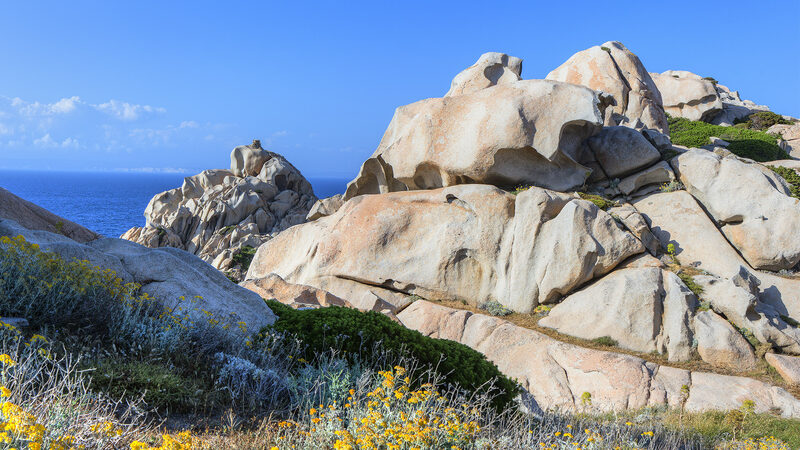 Excursions by sea to the La Maddalena Archipelago, Corsica, Lavezzi and Cavallo are an experience not to be missed during your holidays. Exclusive boats leave every day from the Valle dell’Erica Resort for half- or full-day trips to some of the most famous beaches.